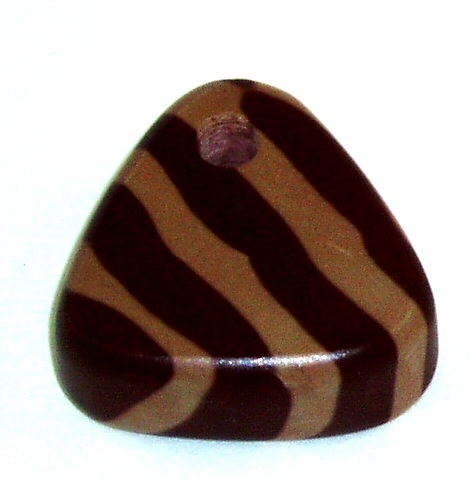 Recently Shalini was asked by a new client if we could produce some Zebra Stone pendants for her, personally I had never heard of Zebra Stone, let alone having ever seen it. Anyway the client sent it through to us and after unpacking it I was surprised to see just how soft this is, if you scrape your finger nail across it, you get dust which I can best describe as chalk dust. This immediately got the alarm bells ringing, would this stone hold up to the rigours of being exposed to the grinding wheels and how was I going to cut it, again worried about it absorbing the coolant from the saw. So I did some searching around and contacted a few of the Lapidary forums and the consensus was that this had to be done by hand, no machines, well I did use one machine which I will mention later. So the first step was to take a slab of the piece the client had sent us, I did this with a normal hacksaw, no water and just took my time and I was surprised at how easily it cut through it, didn’t take long at all. I also used the hacksaw to cut out the basic shapes of the pendants. Next step was to remove the final surplus material which I did with my Fordom flex-shaft with a small diamond cut-off wheel fitted. I ran the Fordom on a medium speed and just touched the material against the wheel lightly and the surplus material was soon removed and loads of dust created. Now I had to get the holes bored for the leather thong to go through, for this I used a few different sized diamond twist drills, again on the Fordom but now water cooling, to open up the hole enough I used a few different sizes of diamond burrs. Right now it’s time to see if I can get a smooth finish on this Zebra Stone, I stated with wet and dry paper, 240 grit and finished off the shaping and created the chamfers on the edges. You will find the wet and dry clogs up very quickly because there is no water being used at all, but running a stiff brush over it soon un-clogs it so it can be re-used. I then moved onto 600 grit wet and dry, big step I know, but it’s all I could source from the local hardware shop, but it worked and removed all the scratches left by the 240, then I finished off all over with 1200 grit wet and dry and it came out nice and smooth. 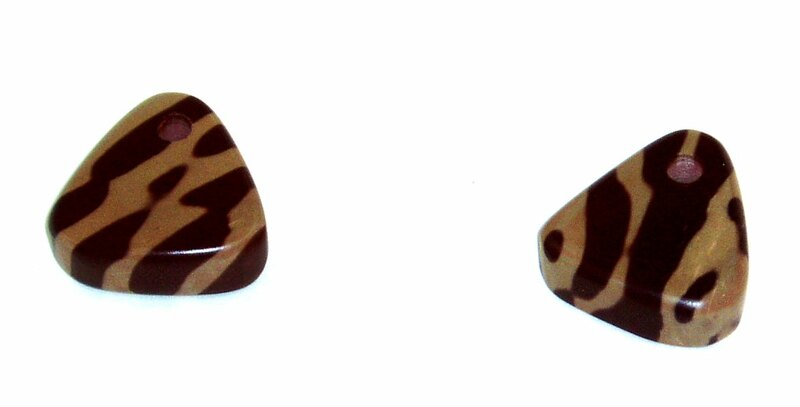 The final step is to get a polish, I had read that Zebra Stone doesn’t polish at all really and with my concerns about the stone absorbing water or anything else I decided not to even try, so I sealed the stone with a light coating of beeswax which has give a slight lustre to the finish. So as you can see this was a completely “dry” process from start to finish, no coolants or lubricants were used at all. Now I just hope Shalini’s client likes the finished product. Do you sell those stones? thanks for dropping by, just hope the stone we have on it’s way is as nice, you never can tell from photo’s.